● We don’t share your personal information with anyone except to comply with the law, develop our products, or protect our rights. ● We don’t store personal information on our servers unless required for the on-going operation of our site. It is The Scriptures UK policy to respect your privacy regarding any information we may collect while operating our websites. Like most website operators, The Scriptures UK collects non-personally-identifying information of the sort that web browsers and servers typically make available, such as the browser type, language preference, referring site, and the date and time of each visitor request. The Scriptures UK’s purpose in collecting non-personally identifying information is to better understand how The Scriptures UK’s visitors use its website. From time to time, The Scriptures UK may release non-personally-identifying information in the aggregate, e.g., by publishing a report on trends in the usage of its website. Visitors to The Scriptures UK’s website can choose to interact with The Scriptures UK through e-mail or telephone. In each case, The Scriptures UK collects such information only insofar as is necessary or appropriate to fulfil the purpose of the visitor’s interaction with The Scriptures UK. The Scriptures UK does not disclose personally-identifying information other than as described below. The Scriptures UK may collect statistics about the behaviour of visitors to its websites. For instance, The Scriptures UK may monitor the most popular pages using Google Analytics. The Scriptures UK may display this information publicly or provide it to others. However, The Scriptures UK does not disclose personally-identifying information other than as described below. Google Analytics helps The Scriptures UK to look at the busiest hours in the day for their site being used and show where did the user come from, continent, county and city and how they found the site, (for example: Search Engines, Direct Links, Referral links from another site). It also shows The Scriptures UK what percentage of their visitors came from each of these sources. Google analytics gives The Scriptures UK the breakdown of each of these categories. If it is the search engine category, then it shows The Scriptures UK which search engine got them the most traffic, Google, Yahoo, Bing etc. Google analytics shows The Scriptures UK how their users interact with their site’s content. It shows them what percent of the user clicked on which link on their site. This data is extremely useful, and it can help The Scriptures UK in numerous ways, but no personal information is created using Google Analytics, such as names, home address’, email address’, phone numbers, etc. The Scriptures UK discloses potentially personally-identifying and personally-identifying information only to those of its employees, that (i) need to know that information in order to process it on The Scriptures UK’s behalf, and (ii) that have agreed not to disclose it to others. The Scriptures UK will not rent or sell potentially personally-identifying and personally-identifying information to anyone. Other than to its employees, as described above, The Scriptures UK discloses potentially personally-identifying and personally-identifying information only in response to a summons, court order or other governmental request, or when The Scriptures UK believes in good faith that disclosure is reasonably necessary to protect the property or rights of The Scriptures UK, third parties or the public at large. The Scriptures UK takes all measures reasonably necessary to protect against the unauthorised access, use, alteration or destruction of potentially personally-identifying and personally-identifying information. provides to the website each time the visitor returns. Ads appearing on any website may be delivered to users by advertising partners, who may set cookies. 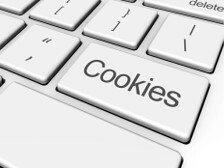 These cookies allow the ad server to recognise your computer each time they send you an online advertisement to compile information about you or others who use your computer. This information allows ad networks to, among other things, deliver targeted advertisements that they believe will be of most interest to you.